If you're looking for a fun ways to decorate your bare walls, look no further than this customisable football wall sticker from our collection of sports wall decals! 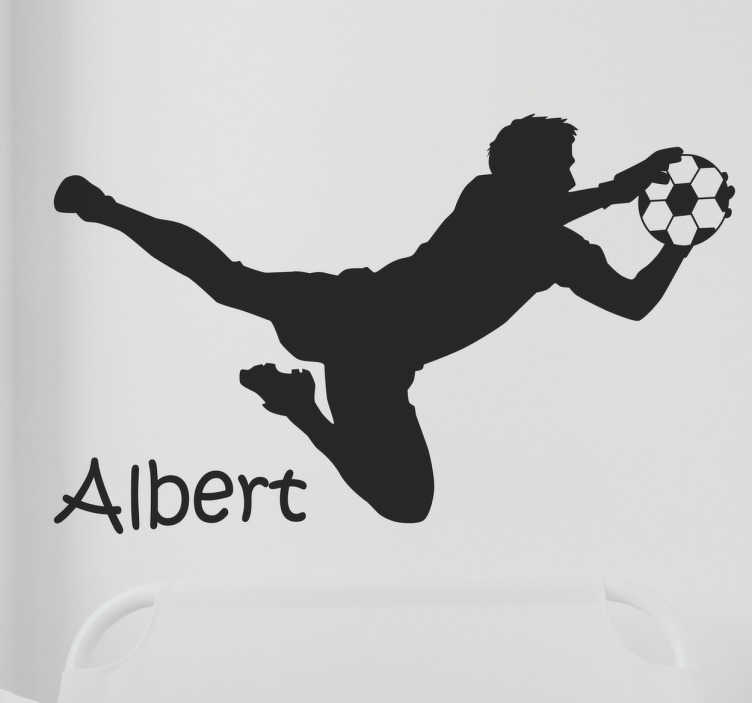 Featuring the stylish silhouette if a goalkeeper diving through the air to catch the ball, this vinyl can be personalised to read the name of your choice! The perfect kid's sticker, remember to enter the name of your choice into the text box!